So Cartoon Network. You know, the one channel that we all switch to when we were younger? The one network that we would often choose over Nickelodeon or Disney Channel? Yes, that one, and in case you are not aware, Cartoon Network has devolved from the ultimate source of animated entertainment, into a partial parody of itself when it started releasing various, below-the-standards outings, with some obvious exceptions. It is a pretty sad truth to realize that the very studio that had given us so many influential pieces of art to resort to lazily made pieces of animation. What can Cartoon Network do in order to bounce back? Well through movies, of course, since they did release one theatrical feature before ... and to also take a note or two from the show Riverdale. Welcome back to Dateline Movies, and this is our proposal of a more contemporary, more serious revivals of some of Cartoon Network' best shows. We call it Cartoon Network Brink! Cartoon Network Brink is a brand that offers experimental takes on everyone's favorite cartoons that remains true to the spirits of the originals, while also taking each of them in different, new territories, and reintroduces the original works to a modern audience, similar to how Riverdale reintroduces the Archie Comics to a much more mainstream audience. Each of these films will be contained in their own shared, single continuity. 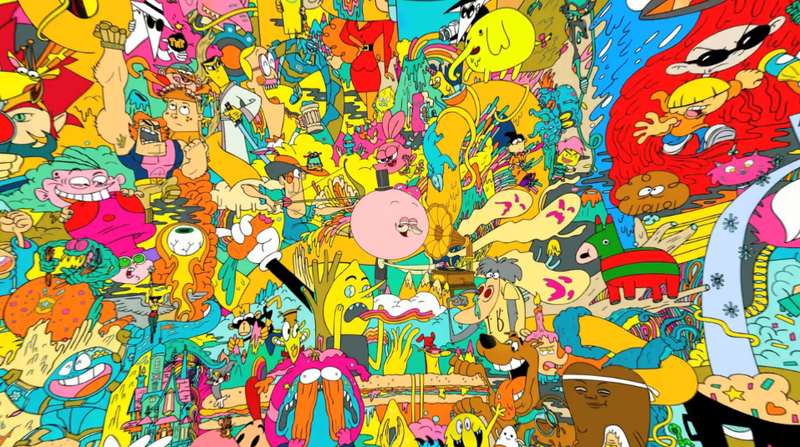 In addition, this allows Cartoon Network to reach-out to more audiences, and to at least get some advantages over online streaming services, and even online downloading sites, that overshadow their television ratings. Cartoon Network Brink also allows the studio, and the makers of these shows, to compete with both of its rivals, Nickelodeon and Disney, considering that the latter has been releasing movies like there is no tomorrow. When we mean that these animated movie revivals need to "take a note or two from the show Riverdale", we do not mean that each of these intellectual properties should turn-up the amount of angst all the way to eleven, we merely mean that each should get a more grounded interpretation. You must be wondering as to why, instead of staying true to the comedic, light-hearted roots of their golden days, we are imploring for a different direction. The likes of Adventure Time and Steven Universe proved that there is still a large market for mature storytelling in animated shows. 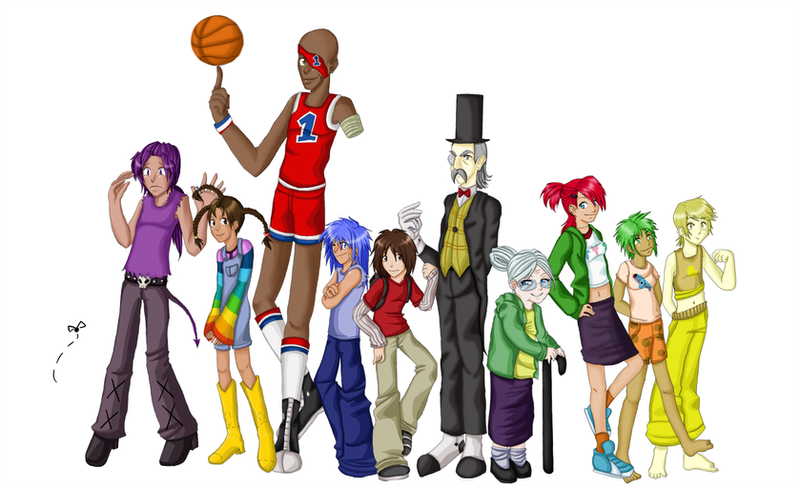 However, they are overshadowed by the likes of Teen Titans GO! replays. What this means is that, while quality programming is great, it does not attract higher ratings unlike before. In addition, the trends nowadays are different, as even darker works are now on higher demand than before, and it does not help that these specific shows are broadcast on other avenues such as Netflix. 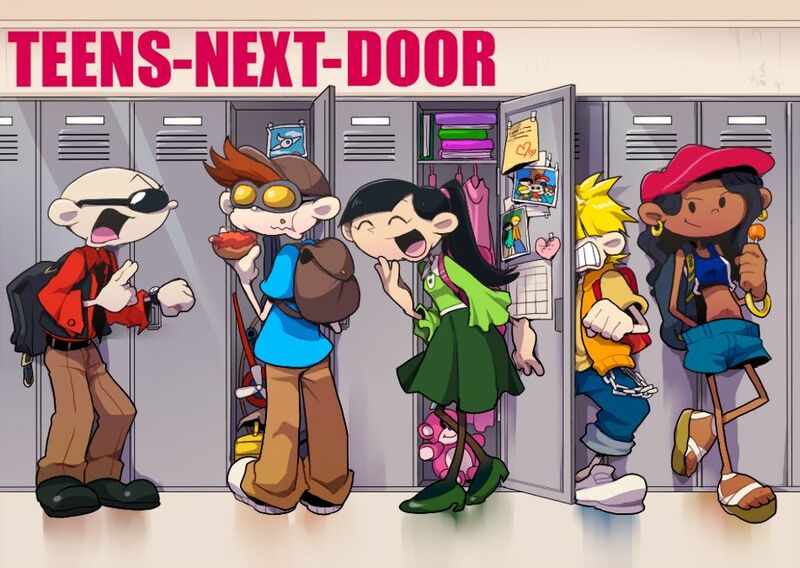 Besides, I am pretty sure that those who watched Codename: Kids Next Door are no longer nine to ten years old. As such, if people grow-up, so should Cartoon Network, and since fans are still clamoring to see more of their favorite shows, similar to how Samurai Jack was revived to rave reviews, why not? Side note. The following artworks below are obviously not mine, given that I am not the most artistic in our nuclear family. That honor goes to my little sister. I had a really difficult time finding the best artworks that are either not creepy, to the point that it is particularly nightmare fuel, or just ... not weird. I will give the people who made those weird ones plus points for effort, but did they actually spend their precious time making some of them? Go ahead and search them on Google, and tell me that you do not at least find it strange. At least the images below are actually pretty great. In this coming-of-age musical, a five-man independent pop-punk band known as "The Kids Next Door", abbreviated simply to "K.N.D." reunite to finish their incomplete, and final album. In the midst of all of their fading successes, the bittersweet reunion is slowly escalating into something far more alarming, due in part to numerous struggles behind-the-scenes. Band manager, lead guitarist, and frontman Nigel Uno attempt to leave his more popular father's shadow. Drummer and child protege Hoagie Gilligan, Jr. does everything that he can to reconnect with his disillusioned actor brother, Tommy. Backup vocalist and lyricist Kuki Sanban is married to slow-witted pianist Wallabee Beatles, whose past criminal record is affecting their album's release. And female rapper Abigail Lincoln is more than ready to sign a solo deal. The story is told throughout an entire year, as the now reunited band do everything they can to make the best out of their farewell tour all across their hometown, as each of them battle against their own inner demons, as well as their existential crises that at the end of it all, they will, like all of us, grow old. They also have to deal with other rival bands, including the "Down The Lane" of "Father Productions", a new-wave, alternative band, whose more mainstream appeal is slowly overshadowing the Kids Next Door. Things also become more increasingly complicated when they are faced with parents hating their music, and old wounds that originated from their crime-filled youths. In this neo-noir crime thriller, child-star ironically nicknamed "Courage" finds himself lost and confused in the literal middle of "Nowhere", a rundown desert community that also doubles as a dying independent horror film studio. In an attempt to secure enough money for his adoptive parents, middle-aged farmers Eustace and Muriel Bagge, Courage is blackmailed by a cat person known only by the moniker of "Katz" to perform various tasks that will sabotage nearly delusional director Benton Tarantella's latest film, which tackles the haunted life and death of King Rameses. Courage will have to battle his inner demons, watch wherever he is going and not be a fool, and do all "the things that I do for love", to save the only two people that he truly cares about. However, problems come in the form of outside authorities, including the military, who are doing everything in their power to evict the residents of Nowhere from their homes, and even the truth about his parents come to haunt him. He also must handle various other odd jobs for other people, including helping authorities apprehend a con artist known as "Le Quack", and a puppeteer-themed serial killer. In this science-fiction caper film, child protege Dexter Morrigan strives hard to be accepted into a prestigious school, and a government-sponsored think-tank so as he can, like his scientist idols, be a source of change in the world. However, his ambitions are often being foiled by his older, much more carefree sister Delilah "Dee Dee" Morrigan, who is also far more popular than he could have ever hoped for. It all comes to a head when he comes face-to-face with his arch-rival in the form of Susan "Mandark" Astromonov, whose apparent popularity with the class elite and faculty threaten his spot at fame and success, made only dimmer by his vocal affections for Dee Dee. 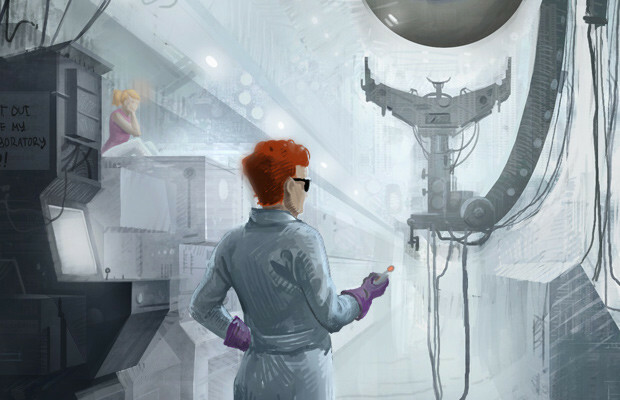 Not willing to give-up, Dexter must fight Mandark in a battle of academics, wits, and popularity, but when his inventions are stolen and sold by Mandark to various students, causing immense chaos and youth crime, Dexter must reclaim what is rightfully his, and defeat Mandark. However, he soon find himself willing to surprisingly join Mandark's own personal crusade for popularity. Years later, Dexter, now a successful industrialist and entrepreneur working under the supervision of a government agent known only as "Commander Chief", is shocked to learn that Mandark survived his apparent murder during their high school days, and he is out for blood against his suspected attempted killer. As Mandark pulls Dexter into a twisted game of mystery that threaten to tear apart the very fabric of the universe, Dexter can only pray, or "dial M for monkey", for his own survival. 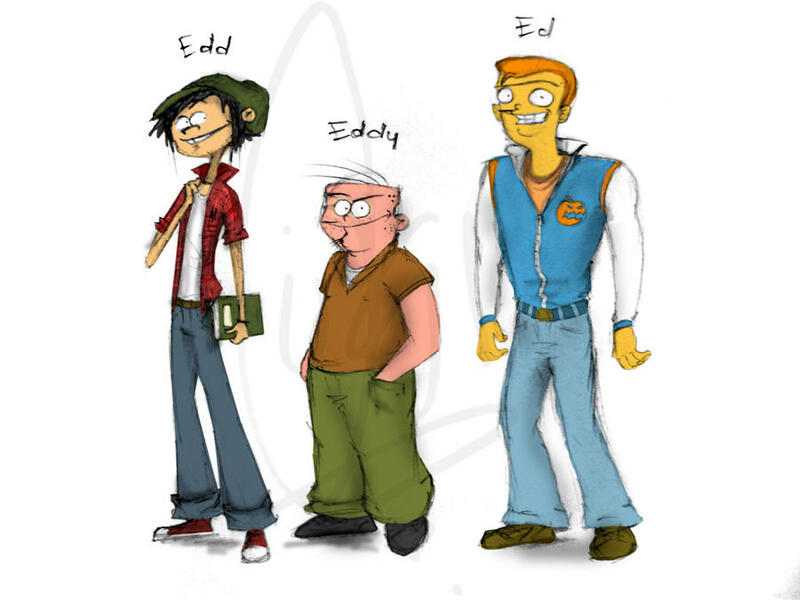 In this coming-of-age crime drama and period piece, Edwin "Edd" Dollarhyde reluctantly moves to the crime-filled suburbs of Peach Creek Heights, where he becomes friends with local outcasts, the dimwitted Edward "Ed" O' Grady, and the cunning Edmund "Eddy" Lawton, both of whom are abused by their respective family members. As the crime wave in the area worsens at the emergence of the crime bosses known as the "Kanker Sisters", all of whom take an infatuation-based liking to the respective "Eds", the three friends decide to set-up shop as enforcers for the Kanker Sisters in order to gain enough money so they can all get a fresh start somewhere else. However, when things are made even more complicated by the emergence of two, rivaling crime bosses "Jonny 2x4" and Rolf "Son of the Shepard" Weber, the Eds decide to play both sides of the game by becoming undercover henchmen for the both of them, while still working for the Sisters. Along the way, they must then go on a cross-country road trip to escape those who threaten to ruin their chances at freedom. In this horror-fantasy film, a young man known only as "Mac" stumbles upon an impoverish community of "Imaginary Friends", seemingly freakish people forced to be made into circus performers, and are seen by most upper-class elites as non-existing people, deemed as such because their physical features are "too unrealistic to be true". An outcast himself, Mac is introduced to the bizarre culture of the community of exiles, who live in an abandoned hospital formerly run by one "Madame Foster", whose granddaughter, Frankie Foster runs the group. He befriends the mysterious "Bloo", a ghoulish-like, all-blue person whose antics come-off as annoying, and suspiciously deadly. As Mac becomes accustomed to his new surroundings, including finding other means of income for their small community, he slowly grows suspicious on the many secrets this "home" carries, including the origins of these Imaginary Friend, plus the potentially sinister connection of Madame Foster to their creation, and Bloo's hidden agenda. 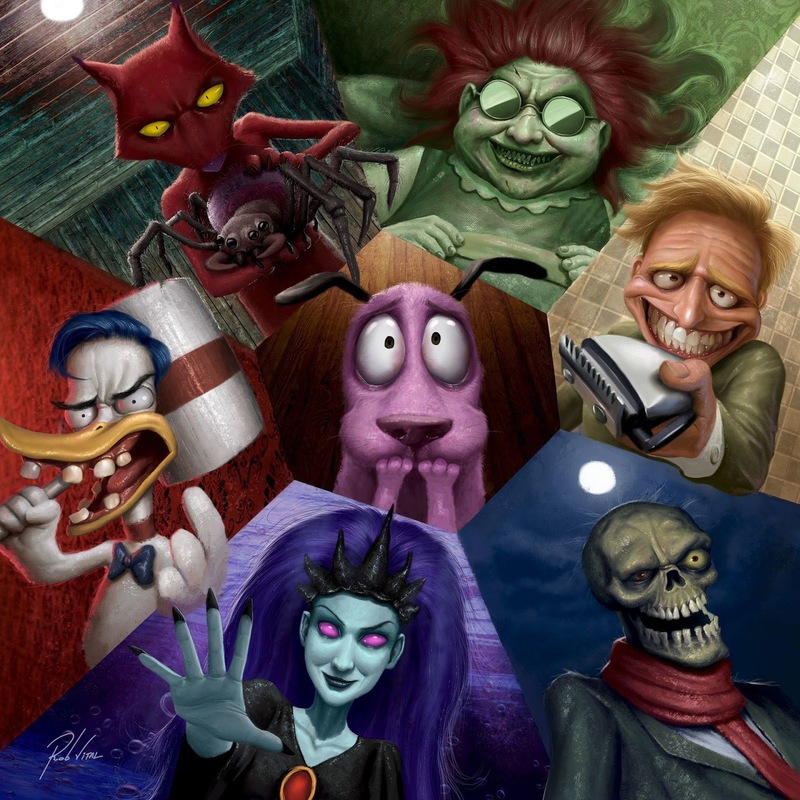 And there you have it, our proposal for a darker, edgier version of Cartoon Networks classics. Page me up, Cartoon Network executives, if you are interested in purchasing any of these stories. And of course, it is a sort-of tradition for us to leave "bonus videos", and for this post, enjoy the wonderful "Cartoon network - Groovies", music videos featuring original songs inspired by certain cartoons, made by famous artists. Feel the nostalgia coming through, my friends, and stay tuned for more Dateline Movies! Also, have a blessed Easter, everyone!